This beautiful handcrafted feather barrette is made by Mohawk feather artist Rebecca Maracle. This barrette has between twelve and twenty individual feathers making up this beautiful piece. 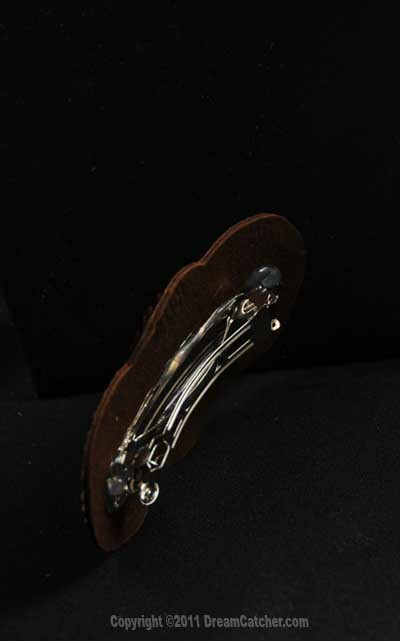 The feathers are on a leather backing with a standard metal hair clip attached. This barrette is 3.5" wide and 1.25" high . Click here to view Rebecca's artist profile.